Dogs are a delight to have around the house. As you interact with yours, you will face a number of learning curves and understand that having the right vaccines done at birth, a collar and training doesn’t cover what you need to know about these adorable puppies. One of the biggest scares that your pet can give you is an allergic reaction. When it happens, and especially if you did not know of any pre-existing allergies, you might end up feeling confused and helpless. It is therefore best to ensure that you understand possible allergens that could be lurking in your dogs food, and which might affect your adorable little pupster. The most common source of dog allergies in the home is food. Dogs will have allergies as part of their genetic makeup and once exposed to the allergen, a reaction will be triggered. Another type of allergy that is common in dogs is food intolerance. Apart from these, there are chemicals and substances which may cause breathing and skin irritation for dogs, and are therefore, also classified as allergies. There is research going into the genetic traits which predispose canines to the development of allergies, but this is still in the early stages. Some vets believe that when puppies are exposed to antibiotics early in life, their gut environment changes, making them predisposed to develop food allergies. Every canine will react differently to different allergens in their food, however, there are ways how to figure out what your dog is allergic to. If your dog is exhibiting these signs, it could be an indication that they are suffering an allergic reaction. You should contact your vet to conduct a dog food allergy test and recommend a dog food allergy treatment because waiting could lead to adverse health effects. This is the most common food allergen for dogs. Dog food uses beef as a major ingredient, which explains why after many years of eating the protein, your dog starts developing dog food intolerance problem. Note: To avoid your dog developing a beef intolerance, try rotating their regular diet with a raw diet which without meat as an ingredient. There are some dogs that have a serious lactose intolerance problem. In most cases, this is not an actual allergy but rather, an intolerance. When a dog has lactose intolerance, they will suffer from gas diarrhea and vomiting. There are a few dogs that have an actual dairy allergy, which manifests in itchy skin and other similar symptoms. Note: The difference between an intolerance and an allergy is that the intolerance will only affect the digestive system. There is a lot of confusion about grains as an allergen for pets. Most people believe that grains in general cause a lot of allergies for dogs, however, studies show that dogs are more likely to develop allergies to beef than grains. Note: Before introducing a grain diet to your pet, make sure that your vet approves. Dogs get an egg allergy when their immune system overreacts to the high protein content in the yolk of the egg, which also applies to chicken. Fortunately, it is easy to avoid foods which contain eggs when planning your pet’s diet. For dogs that have an intolerance for the protein in eggs, beef and chicken, lamb is considered the safest alternative. However, there are dogs who are so sensitive that they develop allergies for lamb and products made with lamb as well. Note: If your pet is not reacting well to lamb and rice, try venison and sweet potato. There are many developmental and reproductive health issues which have been linked to the consumption of soy. Even though it is a great source of plant protein, the possible side effects of eating the food outweigh the benefits, which is why most pet owners avoid this food additive as much as they can. Tree-grass, weed pollen and mold spores: dogs tend to be very allergic to pollen and mold spores. If your home is infested by molds, your pawed friend’s constant sneezing will probably be the first sign for you. If you have a garden, the pollen that falls might be the cause of your puppy’s allergy. 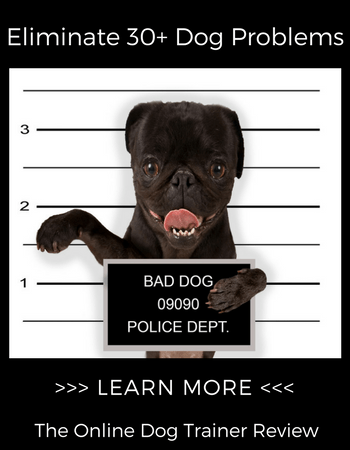 There are several measures which you can take to deal with dog food allergies. First, you could try hypoallergenic homemade dog food some days of the week: it is essential to note that you should not be feeding your dog table scraps because they might contain the allergens that affect your best friend. 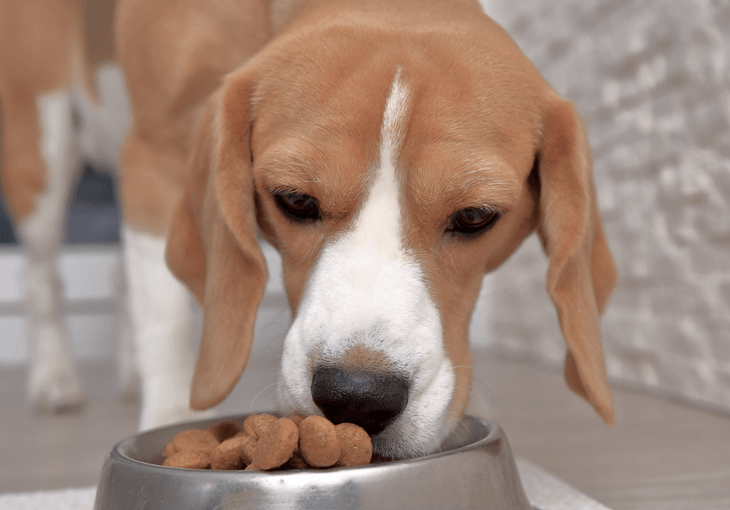 When you make it a habit to allow your dog to eat your food, they end up developing gastrointestinal upsets, behavioral problems weight gain and could even get food poisoning. Substances such as chocolate, sodium and xylitol, garlic and onions are common ingredients in common table food. However, these ingredients are poisonous to dogs and when ingested in huge amounts, they could lead to severe health complications. Finally, if you are going to give bones to your dog to play with, it’s best to ensure that they come from the pet store because the ones coming from your table will most probably have spices and other food additives, which make them unsuitable. The process of learning the foods that your dog is allergic to can be long and tedious. However, if you keep a food diary and note how they react with new foods, you will have a roughly good idea how they will react with all foods that are considered hypoallergenic. Consult your vet for details on how to avoid pet allergies and the first aid and treatment alternatives which work when your pet has an allergy. We hope our post on common dog food allergies with symptoms is helpful for you and your pooch! Be sure to let us know in the comments below, as we look forward to hearing from you! About the Author: Olivia Harper is the co-founder of the blog Daily Dog Stuff. She is a reserved and passionate pet parent who loves to spend time with her Sibe, who keeps her active and social. Read more of her guides and tips by visiting their blog or following their page @dailydogstuff.